The design of the Chile flag was influenced by the flag of the United States. The Chile flag has two horizontal bands with white on top and red on the bottom. A blue square sits in the upper left corner of the flag and contains a white 5 pointed star. 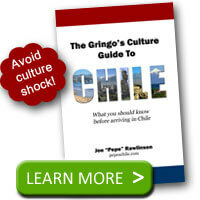 The red on the Chile flag represents the blood spilled in its fight for independence. The white represents the snow-covered Andes that guard the eastern border of Chile. The blue is for the color of the sky. The star represents the governmental powers as they watch over the country. According to Chilean law, citizens are required to display the flag on certain national holidays including independence day (September 18). If Chileans display the flag incorrectly, they can be fined by the police. The flagpole must be white and the flag must hang from the top of the pole. If the Chile flag is displayed with those of other countries, they should all be of equal size and raised to the same height. Also, in this case, the flag should be raised first and lowered last. Today’s Chilean flag is the product of an interesting history and has gone through many revisions. Long ago when Chile still struggled for its independence, the government of José Miguel Carrera called for the creation of a national flag, the first one for this country. History tells us that on July 4th, 1812 the flag was raised for the first time during a banquet celebrating the independence of the United States (this event had a great influence on the locals’ struggle for independence). The banquet was held by the United States Consul, Joel Robert Poinsett. A little time after, on the 30th of September of that same year, the seal and flag of the Old County (Patria Vieja) were adopted. The banner represented the three powers of the State: Majesty, Law, and Strength. Nevertheless, this flag didn’t survive the Old Country (Patria Vieja) and in May of 1814 upon the signing of the Treaty of Lircay, Coronel Francisco de la Lastra, an enemy of Carrera, commanded that the flag be taken down and replaced by the Spanish flag. It was last used in the glorious battle of Rancagua, 1-2 of October 1814, that started the reconquest. During this period, Chile didn’t have a flag. The Liberator Army (El Ejército Libertador), organized in Argentina, fought at the battle of Chacabuco under the sister nation’s flag. This episode, happening on the February 12th 1817, signified the end of the realist control and the beginning of the new Country (La Patria Nueva). Afterwards, the Spanish flag was no longer used. After the triumph of Chacabuco, on the 18th of October 1817, a new banner was adopted called the “flag of the transition”. This flag had three stripes: blue, white, and red. The red replaced the yellow from the flag of 1812. Its design is attributed to Juan Gregorio Las Heras. These colors had their origin in the verses of Alonso de Ercilla that say: “por los pechos, al sesgo, atravesadas, bandas azules, blancas y encargadas”, attributed to the warrior traits of the Mapuches during the Conquest (la Conquista). The red symbolizes the heroes’ blood shed on the field of battle; the white, the snow of the Andes range; and the blue: the clean Chilean sky. Just like the Old Country’s (La Patria Vieja) flag, this flag was not made official and soon disappeared. Among other reasons, because it was confused with Holland’s flag. May 21st, the anniversary of the naval battle of Iquique. 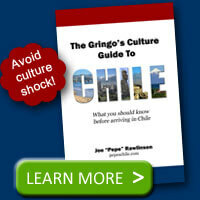 September 18th and 19th when Chileans celebrate their independence and las fiestas patrias. 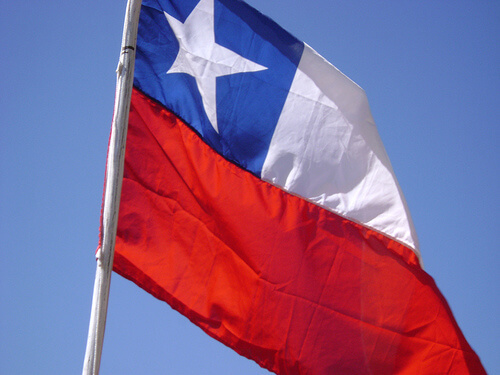 The law states that you can only fly the Chilean flag on those three days. You may not fly the flag on any other day of the year unless you have express governmental permission to do so. Naturally, you’ll see the Chilean flag flown over government buildings but if you pay attention, you won’t see it anywhere else. However, on the required three days, you’ll see the Chilean flag almost everywhere. Just be sure you display the Chilean flag properly, or you could get fined by the police (Carabineros). There have been recent movements and legislative efforts to allow Chileans to fly their flag any day of the year as long as it is displayed properly and given respect. However, they haven’t yet resulted in an official change to the law.